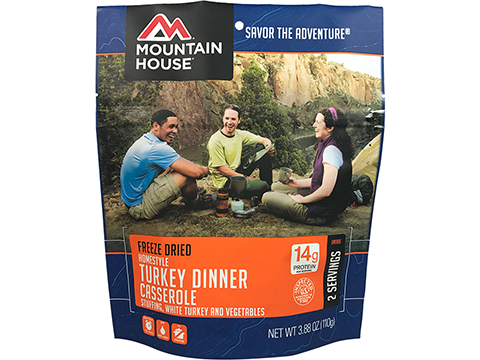 Wherever your adventure takes you, Mountain House will be there with hot, delicious meals that are easy to prepare and enjoy within minutes! Our durable, lightweight pouches are easy to pack and carry. Convenient just-add-water prep in the pouch means that you have more time to do what you love, without the hassles of cooking and cleanup. Dozens of classic recipes give you the variety and comfort you crave as you set out in the morning or at the end of a long day. How do we do it? We use only the highest quality ingredients and cook our meals the old-fashioned way, allowing the flavors to blend naturally. The result is home-cooked flavor, no matter where you are. 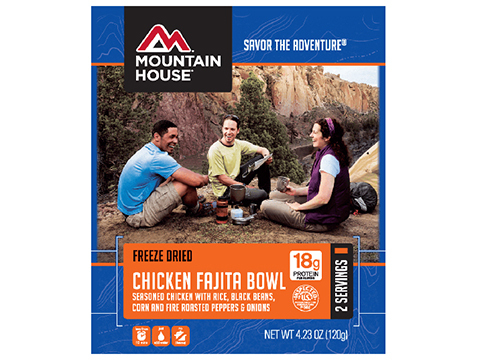 For over 45 years, Mountain House has been the trusted brand of outdoor enthusiasts.